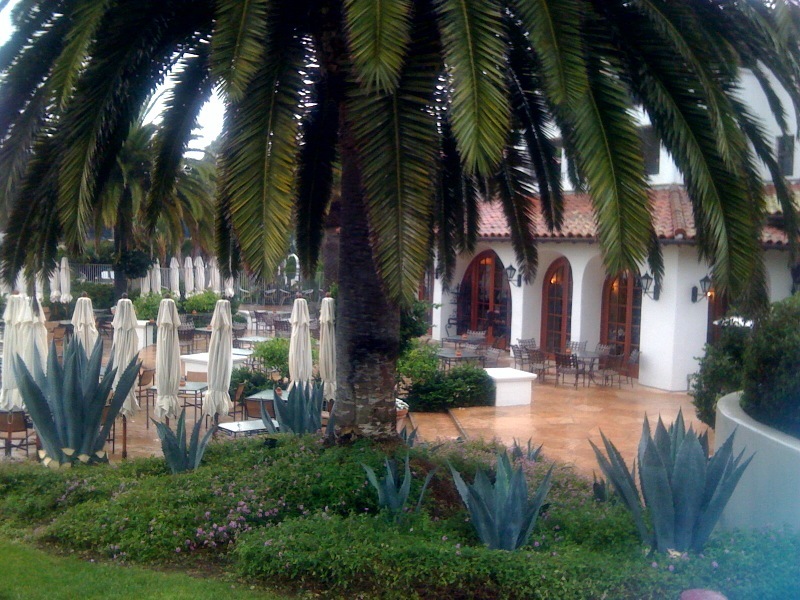 Recently I was fortunated enough to visit Bacara Resort and Spa in Santa Barbara. 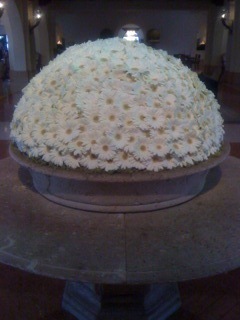 Immediately, in the lobby, my breath was taken away with this amazing daisy flower arrangement! Is that fantastic, or what?! I absolutely love this simplicity, consistency and grandness of this display! 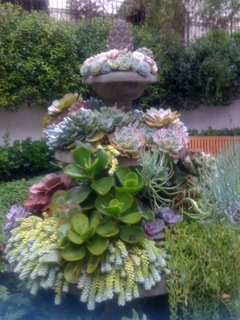 Bravo flower arrangers! 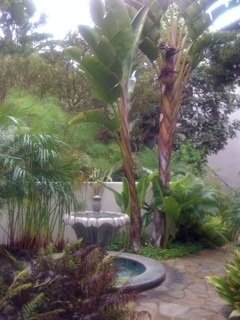 As we continued our stay, I was struck by an overall tropical feel on the grounds. As I walked around (in the rain – which I love to do!) 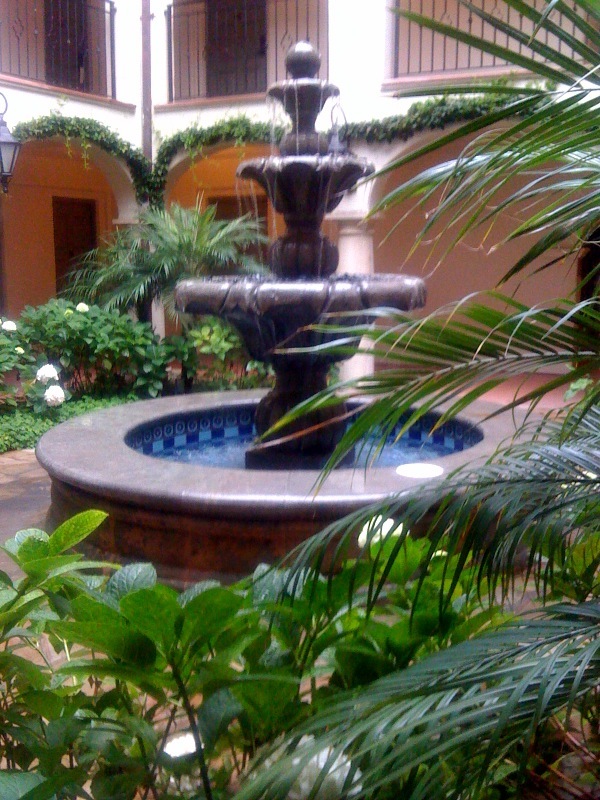 I noticed many courtyards with unique succulent flower centerpieces as well as tropical themes. 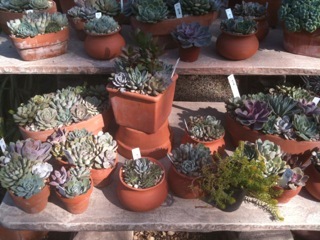 What I love about these gorgeous succulents is that they are drought tolerant, which is ideal for Southern California terrain. 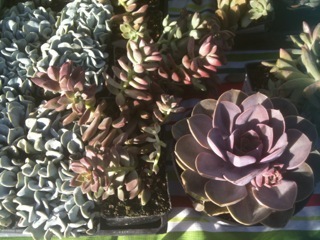 Succulents are a great investment and are hard to kill and when layed out well, can be quite impactful. Personally I’m so tired of planting $150 worth of flowers and they’re all dead 3 months later. 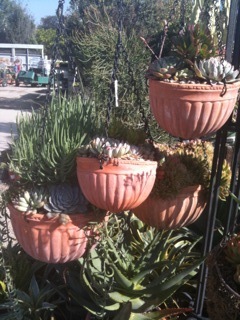 Roger’s Garden in Newport Beach and Laguna Hills Nursery sell a variety of succulents and where I get my inspiration. If you have any arrangements you’d like to share, email them to: c7sdesignteam@gmail.com I plan on adding more as I stumble upon them. EnJOY your day and stop and smell the flowers!